ADO (ActiveX Data Objects) is a Microsoft technology and is a interface to access data in a database. So what can ADO be used for in Navision? Most keys can be represented by the character of the key itself. E.g, the key sequence HALLO can be represented simply by “HALLO”. When using Sendkeys there is one big issue, you can not see when/if the application is in the correct state. This means you have to build in some kind of wait states and then after each wait, you must assume that the application is in the correct state. With SendKeys you simulate user keystrokes – which mean it is possible to start applications, enter information, choose menus, buttons etc. SendKeys is a part of Windows Script Host. Currently I am using this functionality to take over a second Navision Client, to start an export of objects without any user interventions. A load will not work if the document contains a DTD / Schema definition where the validation file cannot be found! Ex. a XML containing the following will not be able to be loaded because the DTD does not use a URI path. In Navision there are 2 ways to handle XMLs. In all versions it is possible to use the automation Microsoft XML and from Navision 4 it is possible to use XML ports. XML ports are thought not my preferred object, because they are limited. They work in the same way as a dataport. 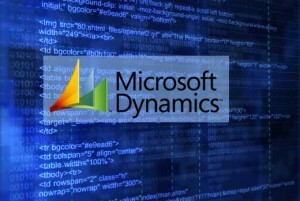 Therefore in the following we will concentrate us on the use of the automation Microsoft XML. Before we are able to load/read an XML document, we must define a variable, which will provide us with a container for the document.